Link management is a great big headache, no matter how good the tool. Most linking tools were designed to be used by webmasters who have plenty of time to pursue the work required to be successful. Audette Internet Solutions provides honest Internet Marketing services. Our reciprocal linking program delivers results in as little as six weeks but we devote a full six months to ensure its success. Do you run a modern business? Our clients are overwhelmingly small business managers who have little time for the detailed drudgery of a successful linking campaign. Avoid Mistakes: Effective linking requires experienced knowledge about what works. It is easy to make a variety of strategic errors, especially when relying on the very misguided advice of various search engine "gurus". These people are often very inexperienced when it comes to real linking work. All of this can be very detrimental to successful results. Turn-key service: We handle the selection of link prospects and the establishment of appropriate link categories (with your approval). We generate the links pages, handle the email flow, submit online to sites that require it, and manage the confirmations and requests. We free you up to focus on other aspects of your business. Fast and easy setup: Forget about comparing the arcane features of each of the various "do it yourself" solutions! Better yet, forget about the learning curves required to use them. We can unusually get your account up and running and earning links within 48 hours, with very little fuss on your part. We have worked hard to streamline the set-up process. Reviewing Sites: Do you REALLY want to sit around and review sites to find link partners? It is pure drudgery. We already have link data for many industries, or we know how to get it the most efficient ways possible. Data Management: Link Management generates a huge amount of data that changes constantly. Most tools make it difficult to handle these updates, or they create a lot of manual work. The dirty little secret in this business is that each link you earn doing it yourself makes the next one more expensive, in terms of the time spent earning it. It's easy to pick the low hanging fruit! It's Lonely Out There: As a lone site against the world, you'll have to find your own links, or hope that they find you. 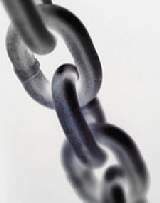 With A.I.S., our tentacles reach deep in the linking world, and we are aware of the best and latest link opportunities. Right now, we are seeing dozens of new link opportunities...every day. Dealing With Hassles: Like everything else in this world, linking work presents it own set of hassles. Do you need more hassle? It also generates more spam in your inbox. Our solution saves you from ALL of it. We get the spam and save you from clogging your inbox with even more. Save your Webmaster, and Save Money: Most webmasters know what a headache linking work is. And most are not really up to speed on how to do it efficiently. What's more, if you pay them their going rate for link work, you will end up spending far more than you should for each link earned. Hire a Kid? : Linking is actually a complex data management project that requires dogged determination and informed decision-making, combined with endless boredom. Not everyone can do it. Hiring a home-worker, or a high school or college kid occasionally works. Most often you have to spend your time training and supervising them while they work (which doesn't free you up to do much else) and then they give up, and leave you hanging, after you've trained them. Audette Internet Solutions provides the most professional, hassle-free solution for earning the very links that are vital to your success. Again, we work for the small business owner/manager. Our business is aimed at serving YOUR unique needs. In other words, our success is only measured by your success.